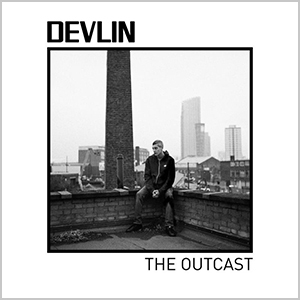 Devlin returns in 2019 with a new album ‘The Outcast’, following stand out singles ‘Live In The Booth’ and ‘Fun To Me’. ‘The Outcast’ is his first album since ‘The Devil In’ that peaked at 16 in the UK charts in 2017 (his highest album chart position to date). Returning to re-stake his position in the scene; this 13-track new offering features a host of collabs including Ghetts, Syer B, Steph Wills and Rawz Artilla, along with production credits from Terror Danjah, Kid D and long-time friend, Lewi White. This entry was posted in Featured Album and tagged devlin, the outcast.